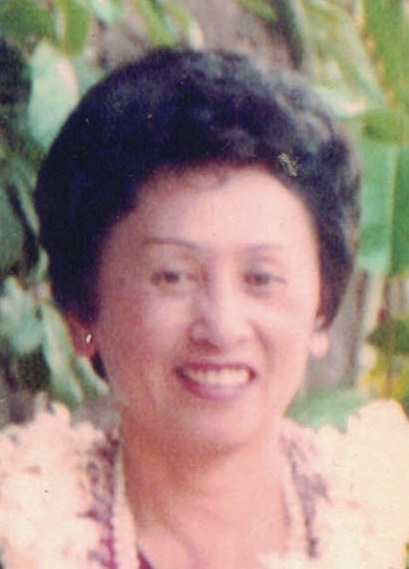 Delphine “Nina” Dacay, 88, of Puhi passed away at home on October 6, 2018. She was born in Waimea, Kauai on December 24, 1929 and retired as a Housekeeping Inspector. Preceded in death by her husband, Cecilio Dacay and son, Mansfield Dacay. Delphine is survived by three children, Aurora (Bill) Fritz, Wanda (Glyn) Higashi, Wadsworth (Lynette) Dacay; daughter-in-law, Donna Dacay; 12 grandchildren, 16 great-grandchildren; numerous nieces, nephews and cousins. A celebration of her life will be held on Saturday, November 3, 2018, at Immaculate Conception Church with viewing from 8:00 to 9:30 a.m. and Mass celebrated at 10:00 a.m. Cremation will follow.